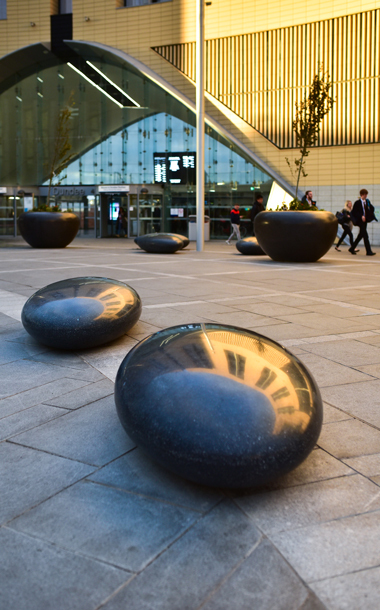 Extra large polished concrete Pebble Seats in three complementary shapes. Barrell Pebble Seats are made in a studio and workshop, not a factory, using techniques developed by Ben Barrell over twenty years of using concrete to create fluid organic shapes. 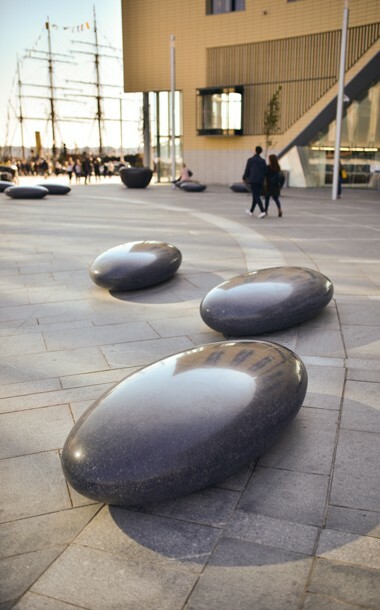 Pendeen Pebble Seats have been specified on developments across the UK. 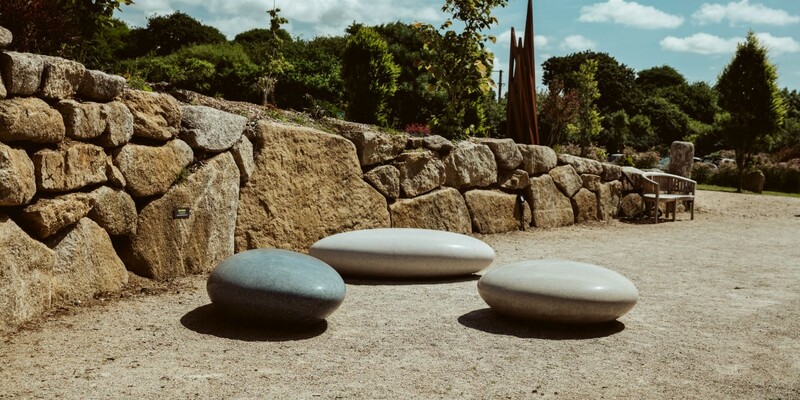 Equally at home on a busy site like the Stockport Exchange or the new Dundee railway station development as they are in a private garden or school grounds, the Pendeen Pebble Seat is a stunning alternative to traditional seating. 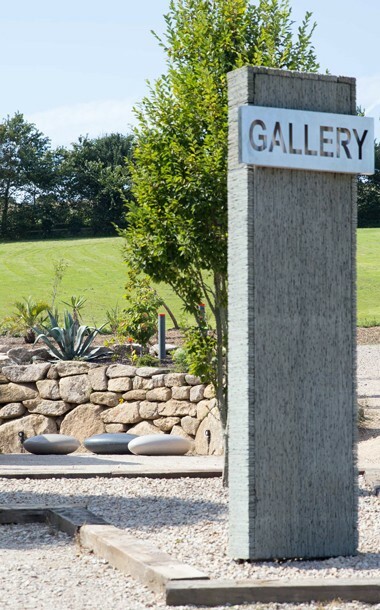 Please contact us for more information about how the Pendeen Pebble Seat can complement your design, or call 01326 373929. 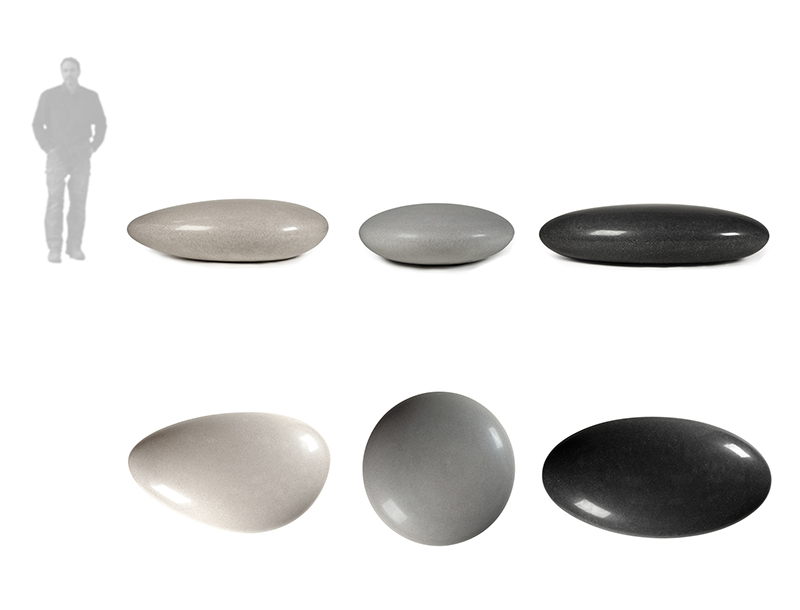 Pendeen Pebble Seats are all extra large and are available in three shapes: asymmetric, round, and oval. and in three colours, soft white, mid-grey and charcoal. They are often specified in groups of three. Estimated delivery 4 – 16 weeks from order, subject to quantity. PLEASE NOTE: November 2018. We have a small number of Pendeen Pebble Seats available immediately. Please contact us if you have an urgent requirement. Polished concrete Pendeen Pebble Seats start at £3,600.00 per unit excluding delivery and VAT or local taxes. 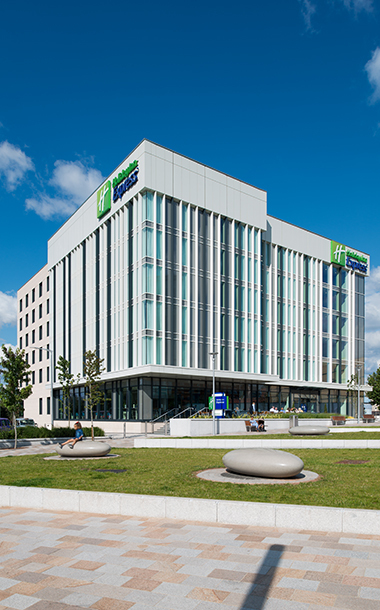 Please contact us for more information or a tailored quote. 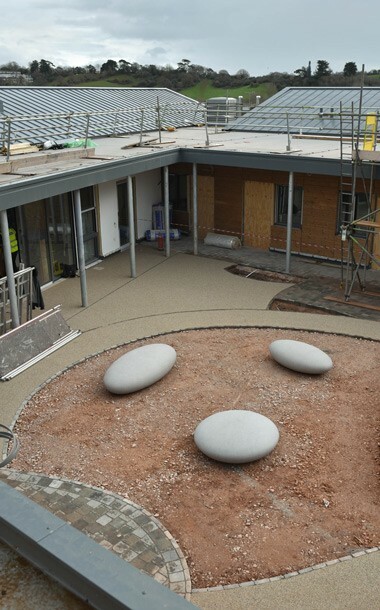 Matt Pebble Seats for Exeter Mother & Baby Unit. 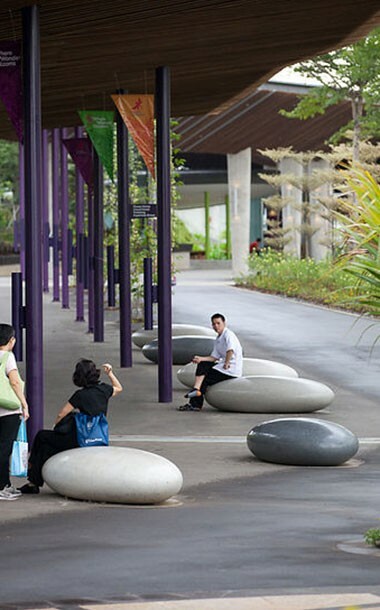 21 Pendeen Pebble Seats commissioned for Bay South, Gardens by the Bay, Singapore.